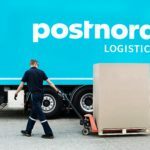 Postnord Norge is my employer and gives me the flexibility to do my adventure projects and take long periods off work for my adventure projects. Big thanks for a long and great relationship over the years. Been working with them since 2010. Cykelhuset.se is a family business started in 1955 in a small basement. They currently have three bike shops in Gothenburg and Uddevalla where they sell and repair / assemble bicycles. Cykelhuset is a company that focuses on quality over quantity. A big thanks to Erik Hansson who have helped me to upgrade my bike to face some of the toughest road conditions in the world. He is also a really good wheel builder which I have proved after many, many kilometers off tough roads riding without anything falling apart. Sportkauf.com are located in Germany and is a distributor for both Vaude and Salewa. German quality is not to be underestimated when you want the equipment to keep for longer trips. Danke Henner Ruscher!